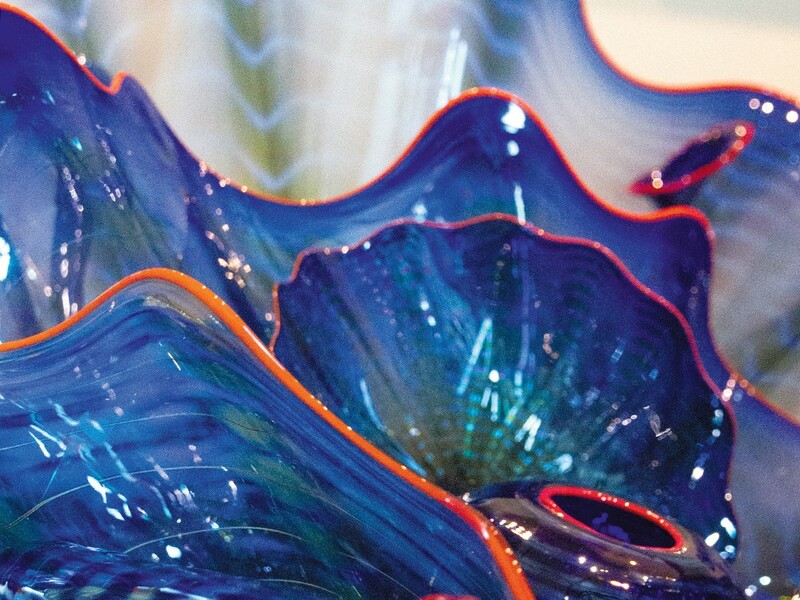 There are few artists whose names reverberate in the Northwest like that of Dale Chihuly. The eye-patched manipulator of all things glass now has his own museum in the shadow of the Space Needle, and often is credited with fathering our region’s boom in glass art over the past two decades. During this time, his Boathouse studio on Lake Union, where he continues to create his pieces with the help of a team of other artists, has essentially become ground zero for the glass art movement. Chihuly’s influence is seen in Spokane, too. Since 1995, his “Gonzaga Red Chandelier” has hung in the university’s Chancellor’s Room. Several of his other pieces, all endlessly colorful and ranging in size, scope and subject, are in Gonzaga’s permanent collection at the Jundt Art Museum, part of an exhibit that runs through July 31. To celebrate the show, Chihuly is set to speak at the Bing Crosby Theater on Thursday, April 25. That lecture is open to the public, but it looks like all the free tickets have been spoken for. So if you’re a Chihuly fan, you’ll have to start hustling.